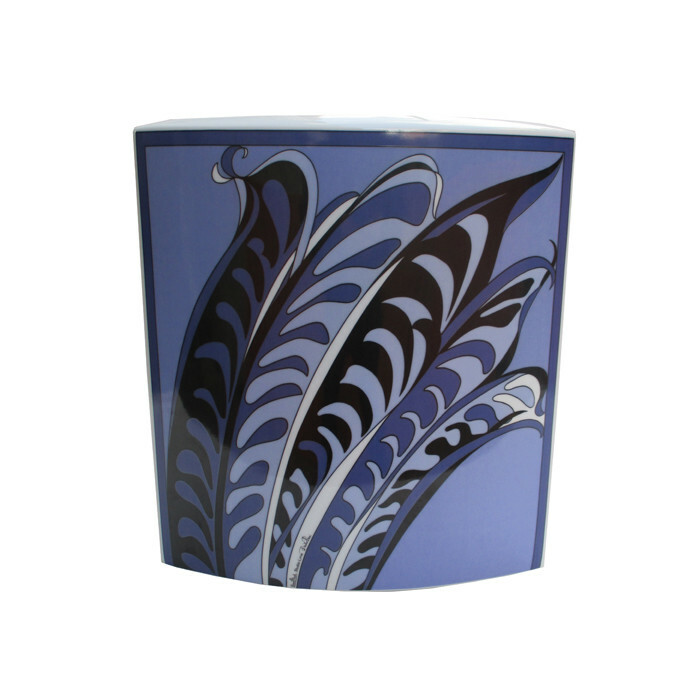 A large ceramic vase designed by Emilio Pucci for Rosenthal. Porcelain white glazed, and polychromatic overglaze. Marked with signature and makers mark. Dimensions: H:12½ W:11¾ D:4½ Inches.